Welcome to the lake! 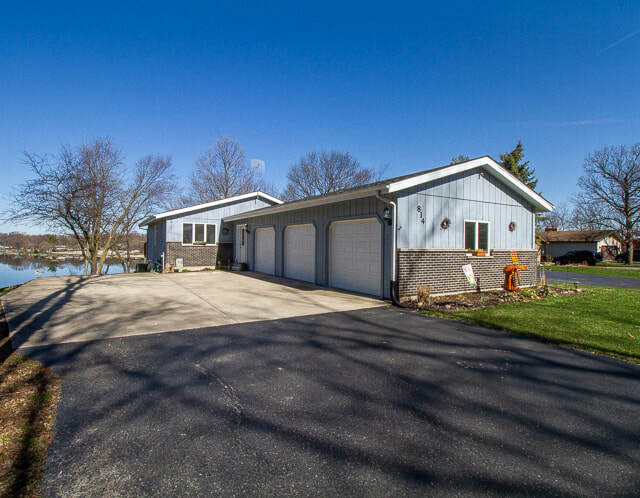 Perfect year round or weekend lake home with LOTS of recent upgrades! All freshly painted w/ today’s colors, newer carpeting in all upper level rooms, updated kitchen w/ SS appliances & brand new granite counter-tops, new lighting, new gas log fireplace w/ gorgeous custom mantel and hearth. 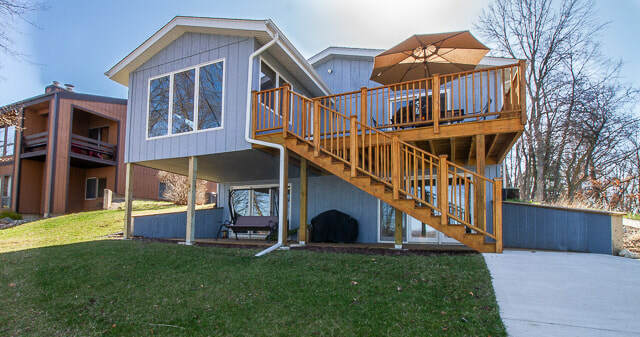 Recently added 14x14 sun room overlooking the lake w/ beautiful wood ceiling accent! New bath added in the walk-out level! All sliding doors have been replaced, new deck off sun room and master bdrm has been built, new docks, & upgrades to the landscaping incl. a concrete walkway around the home! Mechanics have been improved by adding a heater to the 3 car garage, & new water softener. All appliances will stay incl. the newer washer/dryer! This is a turnkey home w/ all improvements DONE! 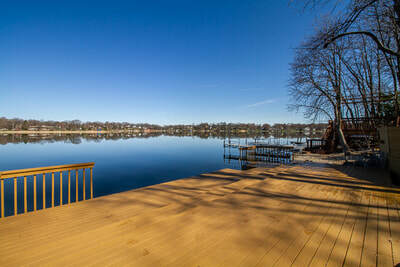 Just unpack and enjoy the most incredible, panoramic views of the lake. Oversize lakeside deck ideal for entertaining! Walking distance to the skate park, & Beach #2 w/ zip line and sandy beach!